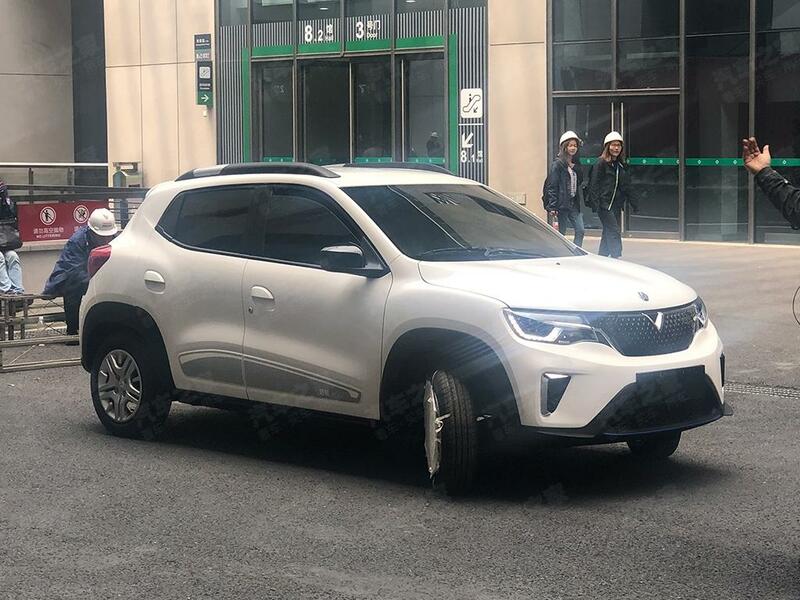 Update: First images showing the 2019 Venucia e30 in the metal have surfaced online. One of these images reveals the rear-end of the all-new EV. Live image gallery added at the end of the story. The original e30 EV, an import, has been a poor seller in China. So, Venucia has decided to replace that rebadged first generation Nissan Leaf with the pure electric variant of the Renault Kwid. The 2019 Venucia e30 will debut at Auto Shanghai 2019 on the 16th of this month. The all-new Venucia e30 is not the car we had seen in the recent patent images and spy shots. That was the Renault Kwid EV. Badge-engineering is a common exercise in the Chinese car market. Many automakers tend to have two different versions of the same car, to sell it under two different companies. 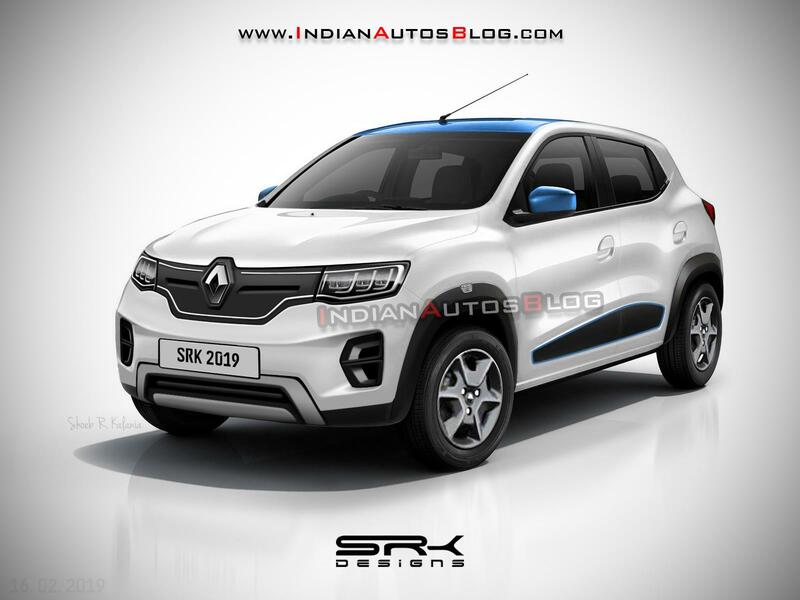 In the Renault Kwid EV’s case, there’s the original one that will be sold as a Renault, and a twin version that will be sold under the Venucia brand - the all-new e30. The all-new Venucia e30 has a unique closed upper grille with a V shape forming up top in the centre - a design cue borrowed from the Venucia The X concept - and a chrome garnish that is designed to look like it flows into the headlamps. The headlamps carry a distinctive light signature and appear to have a projector lens. The image isn’t clear enough to reveal whether the oddly designed lower grille is also a closed one or not. The front bumper has a more aerodynamic design and vertical trim pieces on corners. Blue highlights in the lower body on the front and even the sides, blue accents inside the headlamps and the blue-coloured e30 inscription on the side cladding are some more tell-tale signs of the car being an EV. Lastly, there’s a small star logo of the Venucia brand on the hood. A Renault-badged version is also in the works. 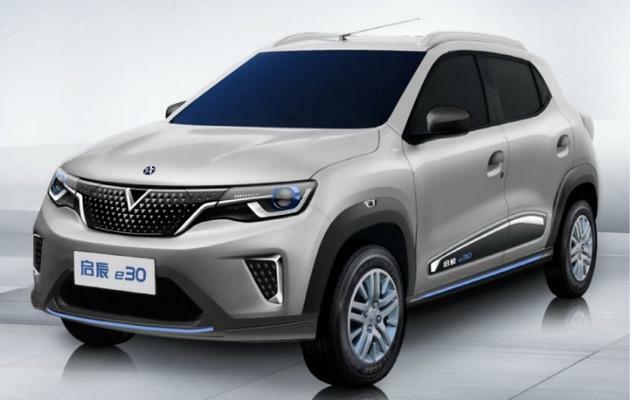 Specifications of the 2019 Venucia e30 aren’t out yet, but expect it to feature a battery-pack offering a range of around 250 km. Production should take place alongside the Renault Kwid EV in Shiyan (Hubei Province) in central China.